AKRON — The Tippecanoe Valley School Corporation have released the following statement regarding coach Stephen Moriarty. The change in staffing is a result of Moriarty’s suspension from the program for conduct unbecoming a coach. The event in question took place during halftime of the Vikings’ game at Rochester on Friday, Sept. 29. “Moriarty threw two crates that contained water bottles. One of the crates ricocheted off the wall and came in contact with a player. The player did not play the second half as a result, but has since been cleared to play during the next football game.” The school corporation will not release medical information related to students, including the player’s name, jersey number and position on the team. 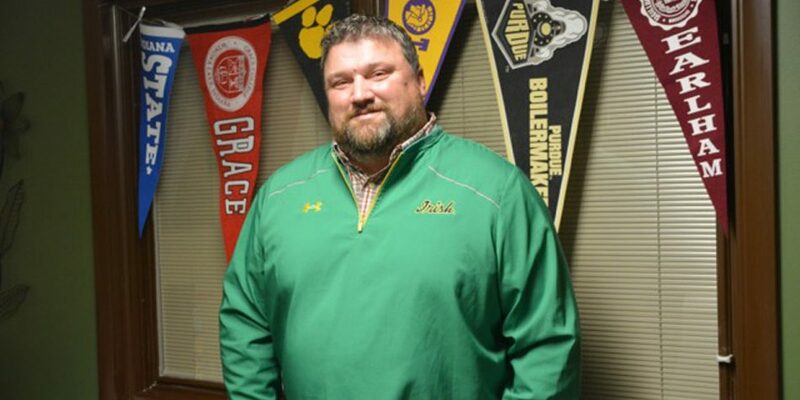 Moriarty was hired on as head coach during a Jan. 16 school board meeting.